It’s this time of year again: to turn a new page, make new year’s resolutions and check out the new slots that are expected to come out in 2016. Of course, there are dozens of games launched every year, we will just review the most noticeable new slots 2016. Edit: Don’t forget to check our list of Most exiting new Slots for 2017 . The biggest current trend in slots industry is Skill Based slots. It’s not something new, there were skill based slots in the past, but as 2015 G2E showed, Skill Based games are no longer a trend, but the next big thing. 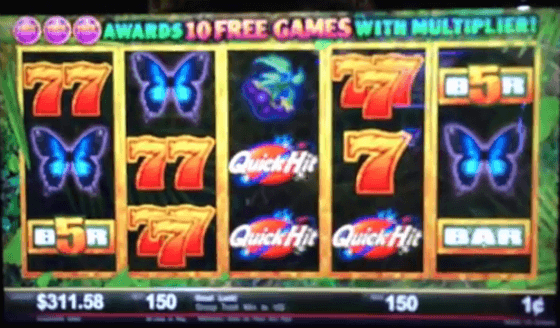 As you will see below, slots developers found a shortcut and they don’t afraid to use it. You take a classic arcade game, add 5 spinning reels and you are good to go. Easier than to invent a new game from scratch. We are sure this will change soon as well (Can’t wait to see Gamblit slots hit the casino floors). One of the most popular Arcade games making its way to Vegas casinos. Developed by Scientific Games, this slot offers all the classic slots features, combined with skill based bonus game. The regular mode is similar to any other slot you played, but when the bonus is triggered, you have two options. You can go with regular bonus game or to choose the skill based bonus. Naturally, you will need to play the original Space Invaders game to win prizes, money and free spins. Another Arcade classic. Considering the popularity of Frogger, it’s surprising it took so long. The game will feature Konami’s tall-top Podium Monument™ cabinet and of course a bonus round based on the original game. As you might have guessed, this is a combination of one of IGT most popular slots, Texas Tea, and Pinball. Here as well it is a regular slot, until you hit the bonus and then you can choose which way to go: luck or to try and win money by playing Pinball. Of course, we will still be able to enjoy some regular new slots. Here are the ones we expect the most. Every new Quick Hit slot is definitely good news. Quick Hit Jungle Slot is offer all the features that made these slots so popular, but with a brand new look. To be honest, I have doubts about this one. For me, the green Jungle theme doesn’t go well with Quick Hits. Not sure why. You can check the latest online game from this series, Quick Hit Cash Wheel. Breaking Bad needs no further introduction and personally I’m surprised it took so long to launch Breaking Bad slot, cause the theme is simply perfect. You can read our full review here. Additional slots that worth mentioning: Wheel of Fortune Double Diamond 3D, Orange is the New Black and Mistress of the Dark by Aristocrat. New innovative Wizard of Oz slot machine. 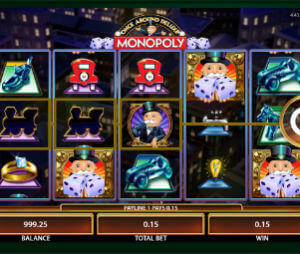 Magic of Oz features a unique 3-4-5-6-7-7 layout, 80 paylines and Wheel of Fortune type of bonus. Great new USA online slots machine. Developed by RTG, it’s one of the first USA slots to break free from the usual 3 or 5 reel machines. As usual, NetEnt deserve a dedicated section. The have plenty of slots coming up in the next few months. We will start with the recently reunited Guns & Roses. Will go live on 21 January.